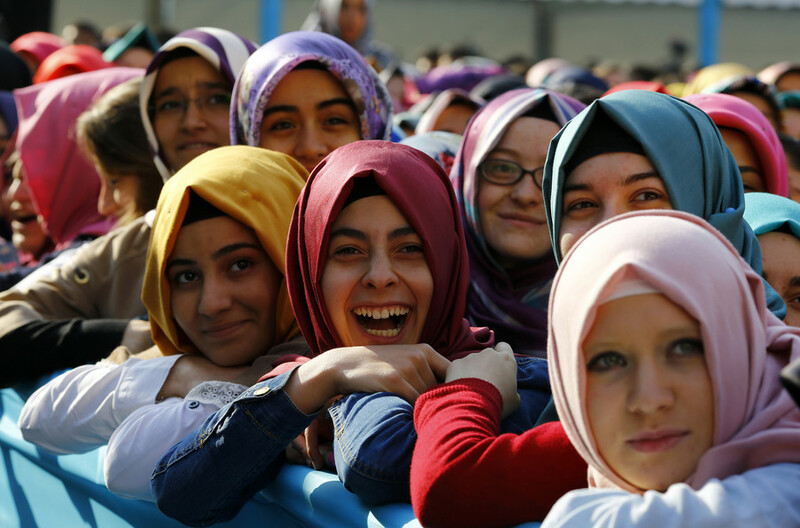 Turkey’s opposition have demanded a parliamentary investigation into the Directorate of Religious Affairs, an influential government department, after it proclaimed that Islamic Law approved of boys marrying at 12 and girls at 9. The statement ignited an immediate firestorm of opposition from politicians, women's rights activists, and secularists. "The Turkish Civil Code clearly states that adulthood begins at the age of 18. Early marriages violate children's rights, women's rights, human rights. As CHP MPs we ask parliament to investigate child marriages," said Murat Bakan, a deputy from the main opposition party on Twitter. Trabzon'da kadınlar Diyanet İşleri Başkanlığı'nın kadın ve çocuk düşmanı açıklamalarına karşı basın açıklaması gerçekleştirdi. Açıklamayı geri çekmeniz, Dini Terimler Sözlüğünü kapatmanız yetmez! The legal marriage age in Turkey is 18, with exceptions for 17-year-olds with parental consent, and 16 year-olds with a court-issued permit. Diyanet has taken down its original entry, clarifying that it “had never approved child marriages and never will” and insisting it was merely interpreting Islamic scriptures. It also emphasized that “consent” was a necessary condition of any union. But the outrage, which has included calls and a Twitter hashtag campaign for Diyanet to be shut down, highlights the long-running controversies of underage marriage and Islamization in Turkey. 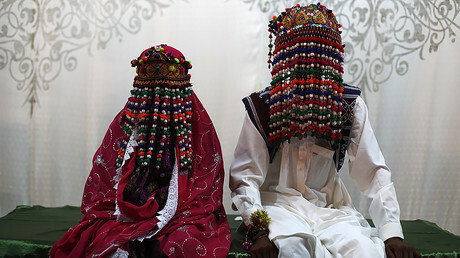 An academic study last year, estimated that as many as one in three Turkish marriages involve a partner who is under 18. The vast majority of the children involved are women, who are disproportionately likely to be poor, illiterate, living in rural areas, and later subjected to abuse and exploitation. There is concern that in conjunction with November’s mufti law – in which the ruling Islamist AKP party allowed sanctioned clerics, rather than state officials, to register marriages – will legitimize traditional child bride unions, reversing decades of progress. Meanwhile, Diyanet, which was once a secular watchdog that oversaw restrictions on religious proselytizing, has, according to its critics, morphed into a powerful propaganda tool for the Islamist government. Its budget has ballooned under former PM and current President Recep Tayyip Erdogan. It has attracted scorn for its published rulings, including a (later withdrawn) fatwa that stated a father can desire his daughter, and another, that said it was sufficient for a man to “see his wife as his mother or sister” to divorce her.